NAOGAON, Sept 12: Thai guava farming has brought smile on the faces of hundreds of unemployed youths in the district. Sources said high profit has been inspiring the farmers to expand the production of the popular fruit. 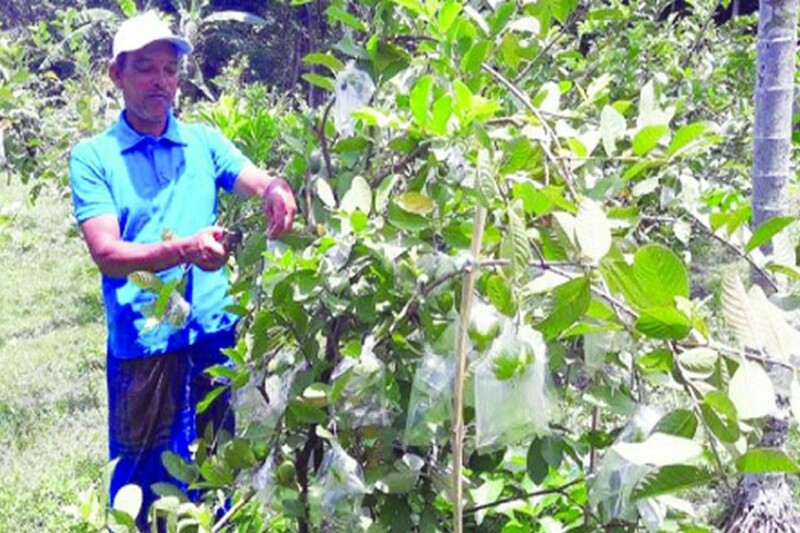 "I have brought over three bighas of land under Thai guava cultivation this season," said farmer Masud Rana of Betgari village of Gona union under Raninagar upazila. Masud Rana said he planted some 448 saplings in 2014 and started harvesting from 2015. The farmer said he is getting a massive amount of production from his orchard this season. Farmers can harvest the fruit after a year of its sapling plantation. Each maund of guava is selling at Tk 1,800 to Tk 1,900 in the wholesale market. The farmers have cultivated the fruit on 357 hectares of land across all the 11 upazilas of the district this season, said DAE official sources said. Raninagar upazila agriculture officer SM Golam Sarowar said guava farming is profitable. The DAE provides logistic support to the farmers in this connection, he added.